Children keep learning constantly. All new experiences offer opportunities for them to acquire life skills that go a long way in adding value to their lives. The earlier they learn these skills the better for them. Preschool children interact with one another and receive gentle directions from ECE teachers in a nurturing, innocent environment. It would be ideal for them to learn the following six vital life skills. 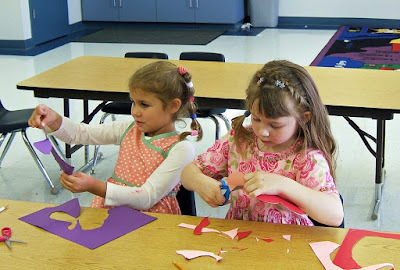 Preschool is a great place for kids to learn different things from different choices they make each day. As they work and play together, they start to decipher the type of behaviors acceptable and the ones that are not. Preschool helps them understand the many outcomes of their actions. With their regular interactions, they learn to cooperate. All the activities there help children understand how to make the right decisions within a safe setting. Appropriate play way lessons with dance and songs help preschoolers get exposed to, acquire and develop effective communication skills. Apart from learning basic skills of writing, they practice as well the right way to speak complete sentences. They try to communicate verbally in order to articulate their feelings. They try out a way to express their viewpoint. Every day at school provides several new opportunities for verbalizing and expressing ideas to patient teachers and peers. Communication may be very basic and shaky in the beginning, but with more and more practice, preschoolers will start to communicate effectively. This is a very important life skill, which generally blooms in preschool. Little kids learn the fundamentals that go into building a lasting friendship. They learn how to make good friends and how to be a good friend. They get the chance to understand friendships with classmates of diverse interests, backgrounds and abilities. Little children are naturally inclined towards helping others. Early childhood education teachers are trained in human behavior and classroom dynamics. When they offer guidance, kids learn quickly crucial qualities such as empathy and compassion. Within the class, children are motivated to help one another. When they experience the joy of assisting one another, they acquire the natural desire to help others. Sharing is another important skill that needs to be developed in preschool. A group activity such as coloring, for instance, creates a chance to share stationery. Playing with puzzles, toys, and building blocks are also informal lessons that teach the value of sharing, cooperating, patience, teamwork and taking turns. An early classroom setting is one of the best opportunities to try different things and excel at them with time. This whole process of attaining success by trying something repeatedly is one of the best ways of developing confidence. Participation in show-and-tell activity or becoming a class monitor can enhance and reinforce confidence in every child. When the attitude of ‘can-do’ is developed at an early stage of life, it carries forward and offers the necessary external and internal strength to accept life confidently in every age. Early Childhood Education Teachers play therefore a significant role in developing these vital traits in preschoolers, so that they get ready to take on the challenges of life head on.